Zambian Players abroad were in action over the weekend and it was the Golden Girl of Zambian football Barbara Banda who stole the show scoring on her debut. Coach Wedson Nyirenda’s Baroka won but his assistant had some shocking revelation. In South Africa, Orlando Pirates duo of striker Justin Shonga and winger Augustine Mulenga were on hand to help the buccaneers to secure a semi-final slot in the Telkom Knockout Challenge Cup. Shonga played 90+4 minutes while Mulenga put in a 109 minute shift. Pirates beat Amazulu 3-2 in extra time. Davies Nkausu played the last few minutes of Baroka FC 2 nil Telkom Knockout Challenge Cup over Mamelodi Sundowns. Chipolopolo first choice goalkeeper Kennedy Mweene was an unused substitute. It was however the Baroka assistant coach Thoka who grabbed the headlines after he declared interest in the Baroka top job to replace Wedson Nyirenda who is on a one week compassionate leave following the loss of his mother. Former Power Dynamos striker Gamphani Jones Lungu played the first 46 minutes of Supersport one nil loss at the hands of Kaiser Chiefs. 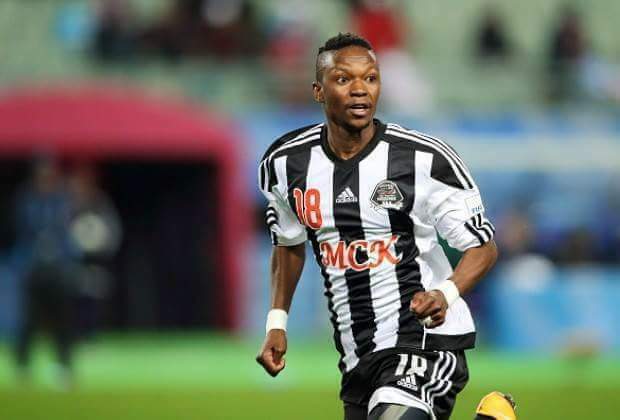 in DRC, Former Chipolopolo captain Rainford Kalaba was on target in TP Mazembe’s 3-2 win over Vita in the derby dubbed the Classicordc. Defender Kabaso Chongo put in a full ninety minute shift while midfielder Nathan Sinkala was rested. In Austria, Striker Patson Daka and midfielder Enock Mwepu were unused substitutes for Redbull Salzburg in their two one win over TSV Mattersburg. Elsewhere Striker Brian Mwila was also an unused substitute for Rheindorf Altach who played out to a two all draw with Rapid Wien. In Armenia, Winger Lubambo Musonda put in a full ninety minute shift for Gandzasar Kapan who succumbed to a two nil loss at the hands of Artsakh. In Belgium, Striker Fashion Sakala played the last few minutes of KV Oostende Jupiler Pro League encounter against Sporting Charleroi while midfielder Emmanuel Banda was an unused substitute. Oostende posted a vital two goals to one win to end a four game winless streak. In Portugal, Kenneth Kalunga put in a full ninety minute shift for CF União Lamas who beat SC Vista Alegre by two goals to nil. In Russia, Former Nkana striker Evans Kangwa was an unused substitute for Arsenal Tula who suffered a 3-1 defeat at the hands of Lokomotiv Moscow. In Spain Barbara made her debut for Spanish Primera Feminina league side Logroño and netted a beautiful header to help them to a two nil win over Club Sporting Huelva. When Barbara Banda signed for Logroño they were bottom of the table with 2 points and no win. She was unveiled handed a jersey 10. They won their next game beating Sevilla. Today she made her debut and scored to help them to a 2 nil win over Sporting de Huelva. They are now 11th with 8 points. Love winning with Football? visit 1xbet and make your dream a reality. We now have a female Professional footballer? isn’t that just a fabulous development? It always takes one for the others to strive for better and higher goals. Well done Barbra. Just unfortunate you have a wrong name. You should have been from Kasama!! !